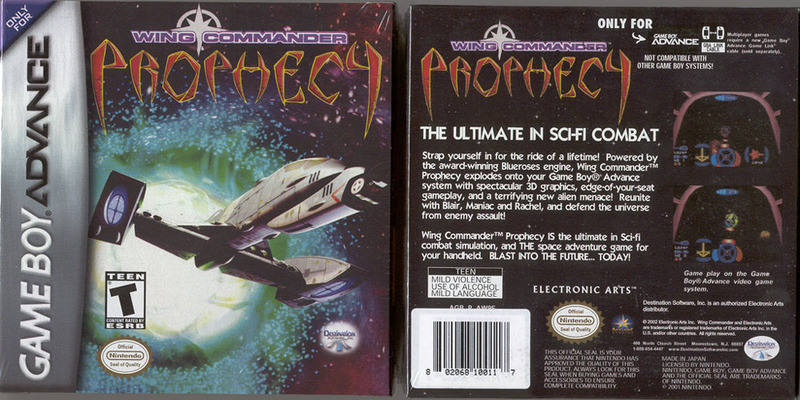 We've all seen small pictures of the front of the Prophecy box in online stores, but now Chris has done a nice scan of both the front and the back! Everyone should buy Prophecy if only for this box. They do exist! Come to the CIC 5th Birthday Party on August 10 and one of these could be yours. 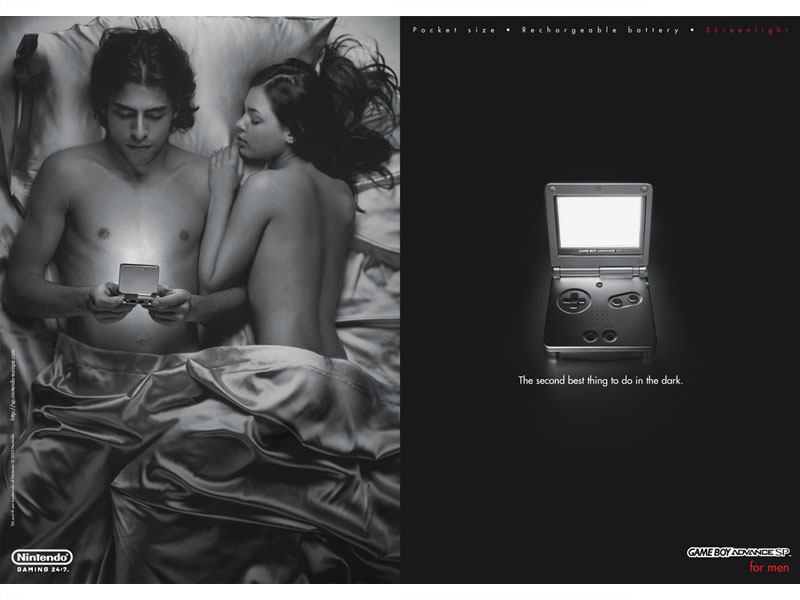 This would be a great polaroid to have sitting on my coffee table in the living room.. just as a conversation piece. 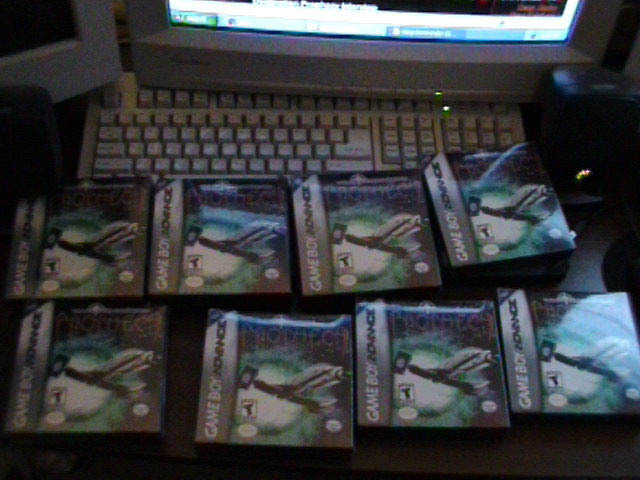 We've confirmed now that certain GameStop locations have gotten Prophecy Advance in stock today. Be sure to call first, because not all stores have received it. The GameStop website appears to have gotten more copies as well, since the game is once again shipping from here. 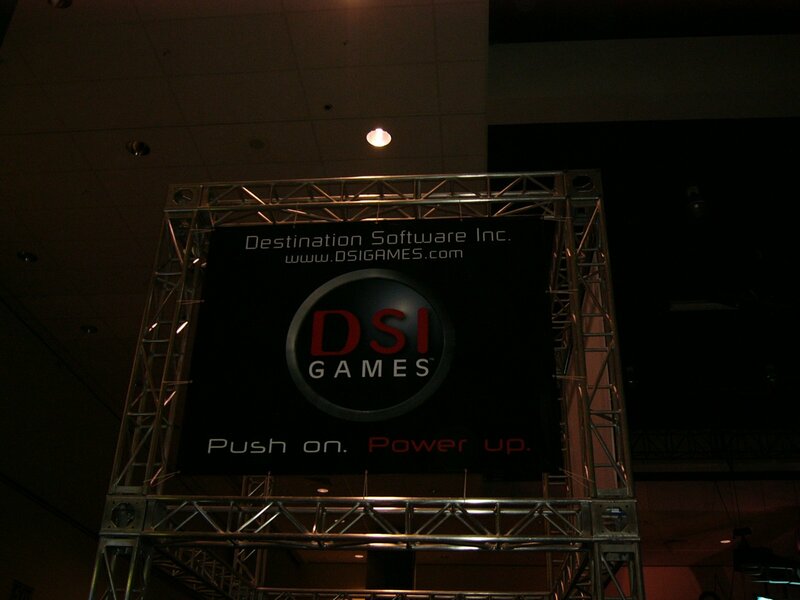 During the recent E3 Expo, the CIC's very own Chris Reid visited the Destination Software booth where Prophecy GBA was running. While he was there, he conducted something of an impromptu interview with some Destination employees.. and he got it all on camera! The video is 2:40 in length and weighs in at 11MB. You can download it here. If you have trouble playing the file, try updating your DivX installation. I was gonna cut out the part where I said cheesy stuff and wasn't choking on my words, but then there wouldn't be a video left. Justin and I planned to go together so you could see my CIC shirt and get nice steady camera angles, but we got split up and I just happened to wander over. The whole situation sort of took me by surprise, and I'm really happy I got footage I did. Thanks to Juan Gutierrez from Destination (I believe) for being such a good sport there. 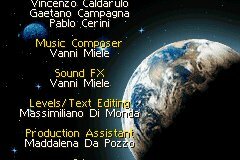 Thanks to Raylight, we now have screenshots of Prophecy GBA's credits which roll when you die. I assume they're also displayed when you complete the game. It's actually quite a short list, even for a GBA game. 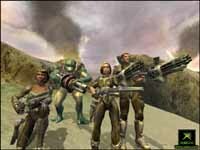 Dozens of games come out each week for a variety of systems and computers, and it's a special class of game that gets its launch mentioned throughout the major media outlets. We're happy to see Prophecy Advance taking off in this manner. GameSpot, IGN, and GameCubeLand have similar announcements stemming from the original press release. Although the game is still a few weeks away in most of Europe, the press there has already taken an early liking to it. 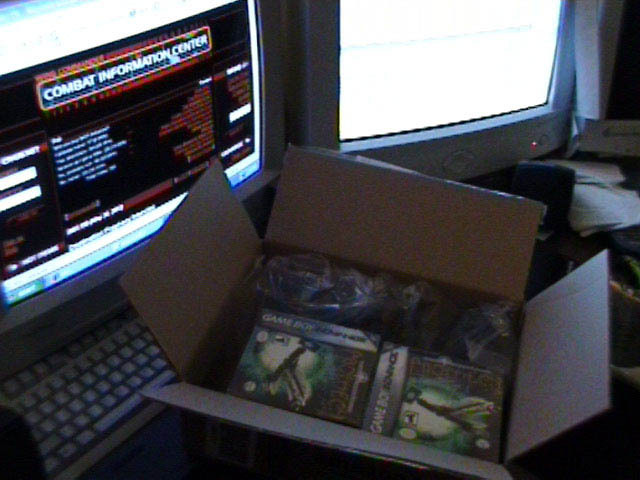 InsiderGamer.nl and PlanetGameBoy.de have also reported on the game's shipment. 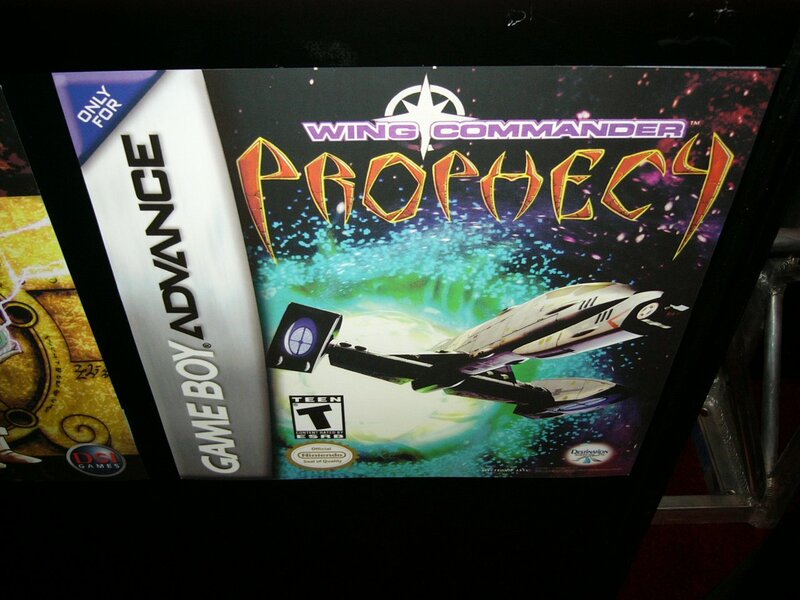 Wing Commander Prophecy for the Nintendo Gameboy Advance, has been shipped to stores in the US. The whole crew escorts Zero through the stylish briefing room doorway. The 3D video sequences are unbelievable -- I watched the intro and a losing endgame, and they're both far more amazing than I would have thought possible on a GameBoy. The graphics are sharp and detailed. 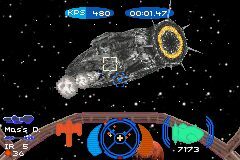 Once you get used to flying with a GBA keypad (which took me about twenty minutes -- though I'm used to a complete HOTAS setup for Wing Commander), the action is great! 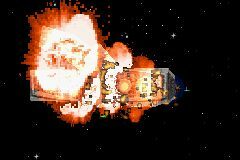 The Nephilim ships are harder to down than they were in the original version -- making destroying a target seem like more of an accomplishment (like in the original Wing Commander). 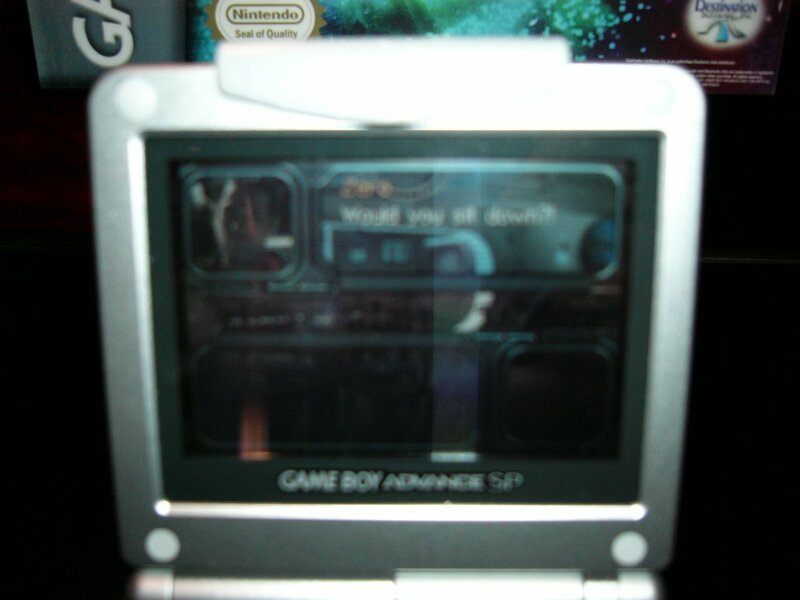 They did an excellent job of streamlining controls to make the game playable with the GBA's few buttons. There are two control sets to learn, normal and 'advanced'... and many aspects of the game (like autopilot) have now been automated. It has speech! Anderson telling me my fighter was ready for takeoff took me completely off guard. The comms, though more limited in number than they were in the original game, are animated and have accompanying speech. Unbelievable! The music is all new -- by an Italian composer. In my mind, it's pretty darned good. The only complaint I have so far is an issue with spelling -- "Maverick" became "Maverik" for some reason. I'll have a full review in the near future... after I get some more flight time in! If you have anything you'd like me to check out, please drop me an e-mail. Thanks to Amazon we're hopefully just a couple hours from holding Prophecy Advance with our own hands, but there have been a few interesting developments in the brick and mortar game shops. Electronics Boutique has revised its shipping date to next Wednesday. Not sure what's behind that (thanks to Jeff Wasse for being the first to pick up on that). On the other hand, GameStop has switched their online status to "Back Ordered." While this might seem like another delay, it seems that the game has actually started shipping to GameStop stores. It seems this latest update may merely reflect a sold out status for their online store. People all over are celebrating Bob Hope's 100th Birthday. In the Wing Commander timeline, Hope eventually retires in the year 2154 at age 251. 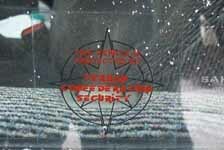 A holographic simulation of the noted entertainer is produced to take his place. Now this is the way to position a picture of Zero -- cutting out his weird white hair streak. What is that thing, anyway? A racing stripe? 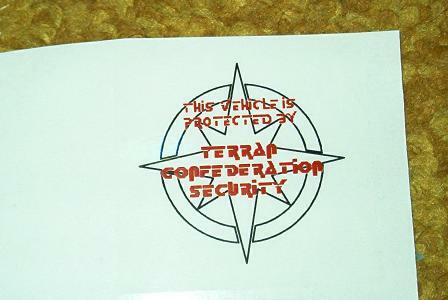 Anyway, I haven't seen any good theories as to what the triangles are... it looks like they may simply be a redundant service and grade marker (silver for Navy, gold for Space Forces -- one tab for officers, two tabs for flag officers). I hope a little bit of our excitement is reaching you through this as we celebrate the launch of a new Wing Commander product. 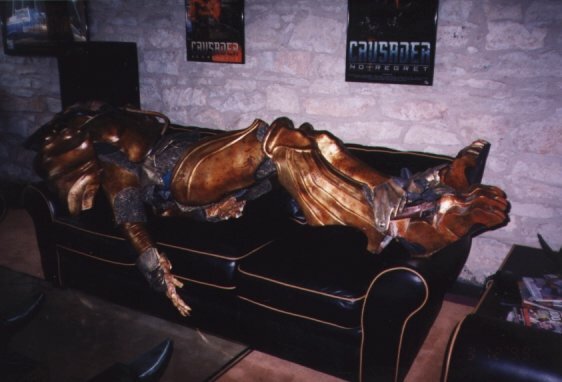 Having played Prophecy years ago, we didn't expect to be quite as hyper as we all are today. 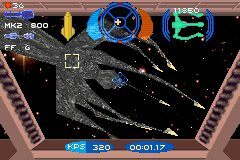 The launch of Prophecy Gold in 1998 was a big event for us, and now the ability to play the game on the slick GBA (with new multiplayer modes!) is even better. We have confirmed the earlier Amazon reports. UPS has the game in transit so advance Amazon orders should arrive this week (2-Day mail on Friday & Overnight in a matter of hours). We'll be updating around the clock over the next few days with exciting developments and fun things for you to check out. It's been a little while since we've needed to update in that fashion, and it's loads of fun. Feel free to let us know if you spot the game locally. Send us a picture if you spot a neat Prophecy display in a store (or make an impromptu one yourself). Because of how some retailers ship Game Boy games, different locations will be receiving the game at different intervals over the next week beginning Thursday and Friday. Some of you contacted us about the server outage wcnews.com experienced this afternoon. Things should be back to normal now. 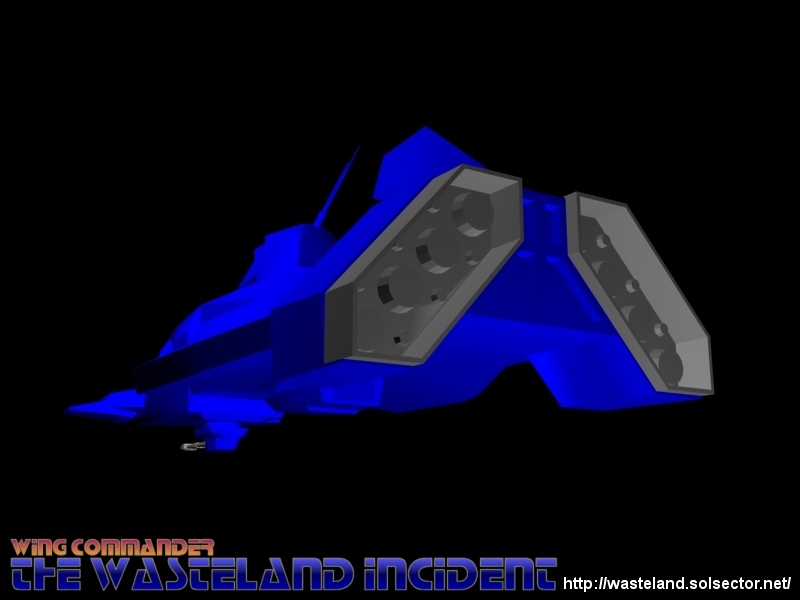 In the event that something else pops up, give the forums at Crius.net a look and we'll utilize that for breaking news. Since the game has shipped much closer to the summer than we originally anticipated, it appears that we'll be combining the original Prophecy Launch Party with the CIC Birthday Party on August 10. If you'd like to come by and chat about anything in the mean time, please visit us in #Wingnut (currently on irc.craplink.net). I'd also like to take this opportunity to introduce the CIC Fifth Birthday. For a while now we've been putting together some big plans to celebrate five years at wcnews.com. We're working hard to ensure this is our most impressive showing yet. For the cash strapped Wing Commander fans, the Game Boy Advance systems and Prophecy game packs we originally intended to give away at Launch will make an appearance on August 10. Mark your calendars! As usual, we'll have some other neat birthday presents to give away to party attendees as well. And in closing.. here's a little bit of the email that had me jumping for joy in the computer lab. Thanks for sharing this exciting time with us. We thought you'd like to know that we shipped your items today, and that this completes your order. Thanks for shopping at Amazon.com, and we hope to see you again soon. 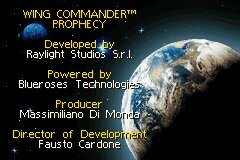 I've just recieved my ship notice from Amazon.com -- Wing Commander Prophecy Advance is on its way! As long as overnight shipping actually means overnight shipping, I'll have first impressions posted Thursday afternoon! 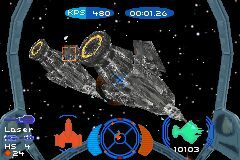 This is a great day for Wing Commander fans. Those following XBox games are likely to already know that Brute Force by Digital Anvil is coming out today. 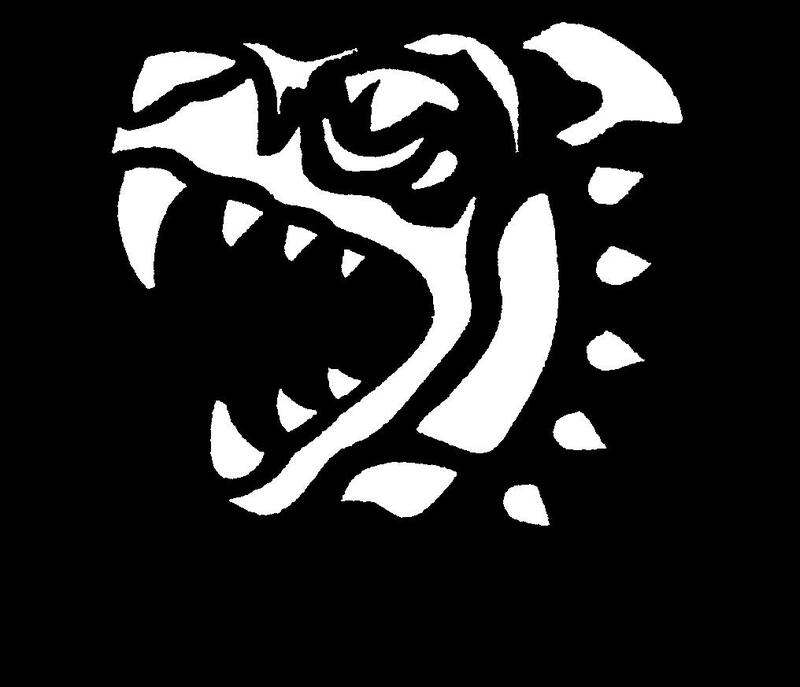 Digital Anvil is the company founded by Chris Roberts to create the CGI for the WC movie and has made such games as Starlancer and Freelancer. You might recall WC references were sprinkled liberally throughout those games (and video from the WC movie even reused in Starlancer), so perhaps we'll get a few easter eggs in Brute Force as well. For starters, the "good guys" are known as Confed once again. From early indications, this will definitely be DA's best selling game to date. Mister 45-degree strikes again. Well, lets take a look at Zero's insignias. The two gold squares over his left breast pocket are his rank and service -- signifying, in this case, that he is a 1st Lt in the Space Forces. The trapezoid pin on his right breast pocket are his wings, earned for having passed through Advanced Flight School. Anyone have any theories as to what the triangle pins on his collar are? 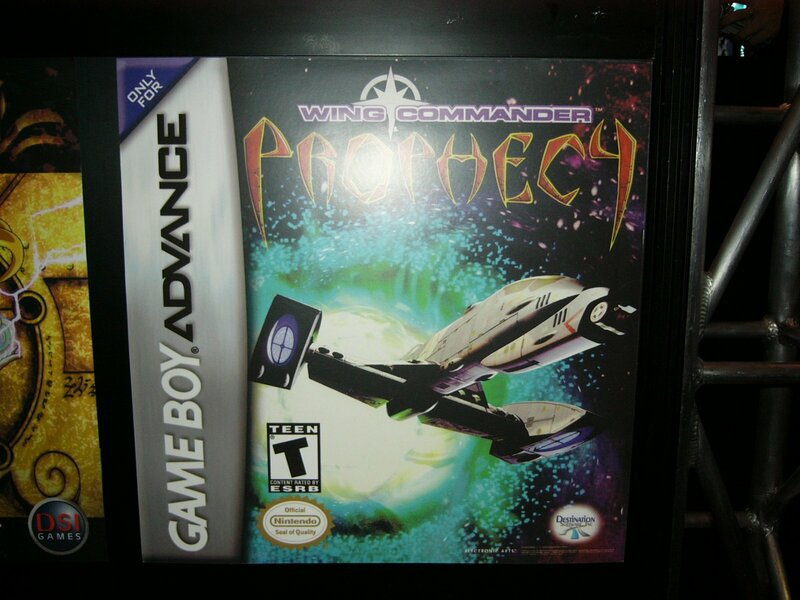 As of 9 AM EST, Amazon has not begun shipping Wing Commander Prophecy Advance. As soon as an e-tailer starts sending them out, we'll post an update. I cased the local brick and mortar stores (Rockville, MD) yesterday afternoon. Electronic Boutique claims Prophecy Advance will be in-stores on Thursday, while GameStop stores are saying it'll be in on Friday. We've been seeing pictures just like this for months now... but we haven't taken a moment to stop and consider that somewhere, somehow, there's someone who actually turns his camera at a 45-degree angle whenever he takes a picture of someone. So... think about that! As the subject subtley implies, today is Memorial Day in the United States. 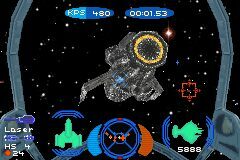 Enjoy your cookouts and discount sales and whatever you kids do today -- but please take a moment to reflect on everyone in history who's given the ultimate sacrafice so we could play Wing Commander. So... who's right? Hopefully one, two or all three of them... we'll know in a matter of days! It's me, Didier "FullBurst41" Vanoverbeke. 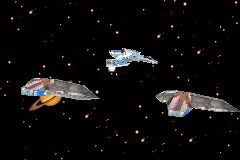 I'd like to inform you of a new fan project (currently without a webpage, but hey), related to the Wing Commander series. The project is an Interactive Fiction adaptation of the long series of fanfiction written by the WC Aces Club, Holding the Line. The game will be in the Text Adventure Development System (TADS) with HTML support, and thus will alow me to use such things as sound and music in the game. The game will take quite some time to develop, and therefore I'd like to take this opportunity to ask for help. - If there's anyone who knows HTML TADS or is willing to learn (it's really not that hard to get started on it), please contact me. Holding the Line already spans more than 150 chapters, and is still continuing. I need to put the hwole thing into code (and in a playable version), so this will take me quite a while on my own, so any help is quite nice. - Voice actors, and lots of them. I'd like to add soem real atmosphere to this game, and voice actors would go a long way to achieve that goal. Please contact me either through MSN or e-mail (details below), and please send me a sample of your talent, so that I can make some decisions on who to accept. I repeat, I need a lot of help in this department. - Playtesters are always nice. You will need to install a TADS Interpreter on your system, but that's it, you will be able to play the games in "QA stage." - If there are any talented music composers ou there that have access to some tools to make the music, you can contact me aswell. I already found someone who is willing to work with me, but it can never hurt to have someone else helping out. Please help me complete this project as best as possible, this might just be a good project. I have already started the coding on the prologue, but since I'm still learning myself (and not an expert in programming), I do have some probles to work out, but I am in the process of donig so. Thanks in advance, and all the best! We'd like to take a moment to thank Adam Foshko and The Origin Museum for these eleven pictures of Lieutenant Terrence "Zero" O'Hearn! 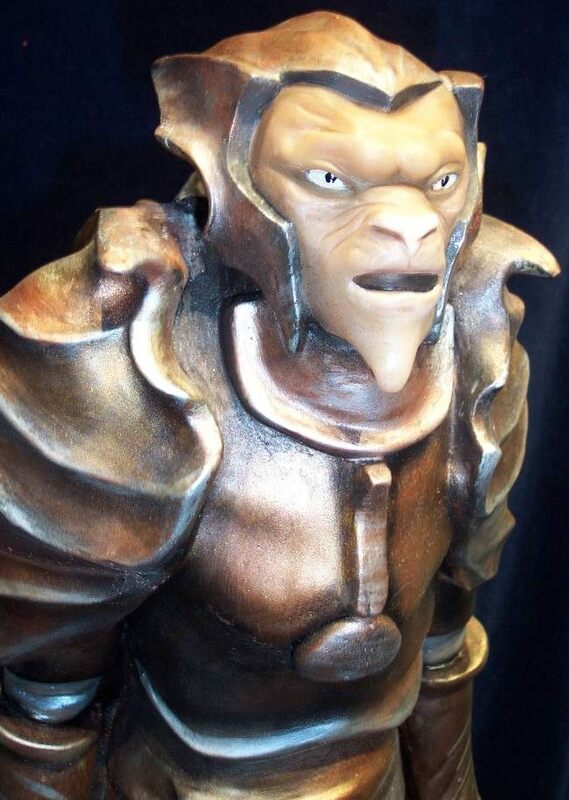 Zero was played by Adam Lazarre-W in Wing Commander: Prophecy. Right on time, here's the next HTL installment. As usual, here's Raptor to tell you about it. HTL continues with the third chapter of "Pride Goes Before A Fall", part twelve of the Scraps Of Honour series. 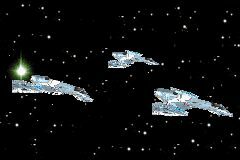 As you saw last time, the reserve pilots had met the main fleet as it fell back from Loki in preparation for the final phase of the battle to hold the line. Before then though, there are still preparations to be made, and training to be completed. This story picks up from there. It's written by Nick "Chaeronea" Deane, so please send any and all comments to him at chaeronea@bigpond.com, not to me. I like how Wilford's skin has become progressively darker as these polaroids have gone on. He's like a reverse Michael Jackson. Chris Reid reports that GameStop stores now list Prophecy GBA in their computers! It's cataloged under 'Wing Commander' instead of 'Wing Commander Prophecy', if you want to ask about it in person. Brick & Mortar Gamestops are not taking official preorders, but you can order directly from the web site here. They expect a May 29th ship date -- and Chris says that it should arrive in stores about three days after that. Getting close! Admiral Captain Wilford looks a bit like Joe Garrity... or possibly someone who's eaten a Joe Garrity. 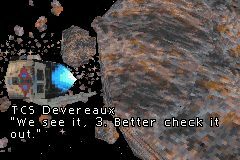 The french site Nemoprod is hosting some video game intros in divx, including Wing Commander 2! Since some of you might not having a system for old games or the Kilrathi Saga, this is a little treat. The file comes in as a 33 meg divx. You'll probably need Divx 5 to view it. It's pretty nice quality, and recorded without subtitles. You can get it for yourself here. I noticed at PA that Triton Labs, makers of the amazing Afterburner light for the GBA (that is unfortunately collecting some dust since the SP came out), is now turning its attention to a wireless GBA link. Since Prophecy Advance supports up to four person multiplayer, this might be a neat toy. There's a few issues. It's expected in the third quarter, which just barely includes August. If it sees any sort of delay whatsoever, we won't get it in time for DragonCon this year. And the price might be in the $30-40 range, which is a bit steep. The good news is that there are discounts for bulk orders, so if CIC people want to get together to order in bulk to cut down the price we can do something like that. You can read the origin of this announcement here. That's right, many of you guessed it, the product we've been working on for months and recently demonstrated behind closed doors at E3 to gaming publications will allow you to play multiplayer GBA games without being tethered to your adversaries by a cable. I can't give out final specs as we are still in prototype stage, however you can expect similar range to most other wireless 2.4 ghz devices (bluetooth, 802.11b, etc.). 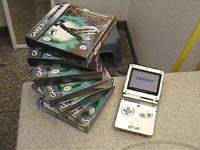 Expected release date is Q3 2003, and the price will be between $30 and $40 with discounts on purchases of 2 or 4 units. And unlike the Afterburner the Stealth Link will be sold in retail chains throughout the world. Straight from Captain Gleason in Mike Hammer, Private Eye to Captain Wilford in Wing Commander Prophecy! 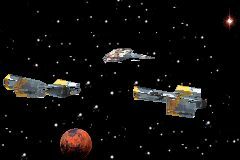 Bob McDob reports on the availability of Confederation and Kilrathi shipsets for Space Empires IV. 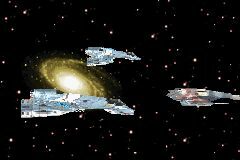 No one is completely sure what, exactly, Space Empires IV is... but careful use of the scientific method has revealed that it has absolutely nothing to do with TradeWars 2000. Look closely in the lower-left corner: the TCS Midway is actually propped up by a small bottle of water. But is it berry-licious Wing Commander Prophecy-brand water*? * - Actually exists. For some reason. Chris Reid is back from the E3. He's busy catching up on work and such, but should have a full report (including, possibly, a video!) later today. 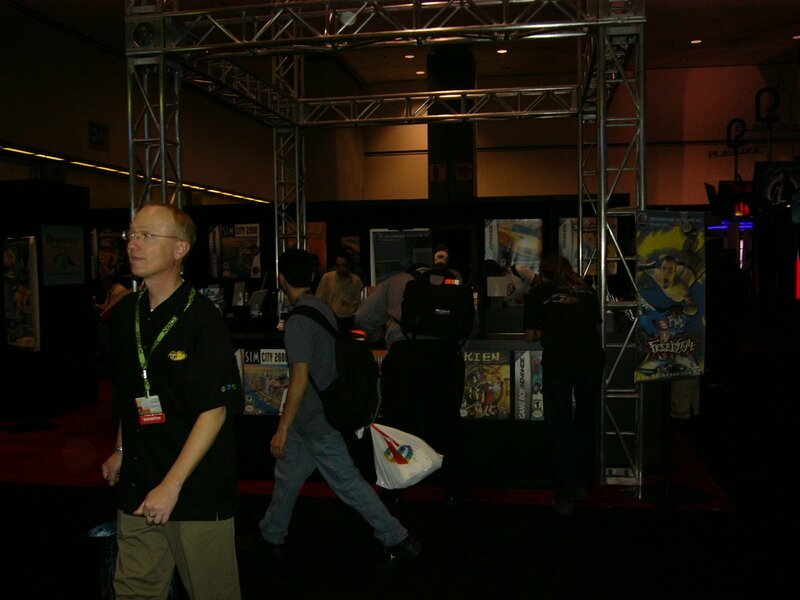 Until then, here's nine photos he took of the Destination Games booth... they prove Wing Commander Prophecy GBA isn't some sort of elaborate hoax! Late May can't come soon enough! Whew, it's great to be back. E3 was incredible, but trips are always tiring. There's so much going on at the expo it's difficult to absorb. 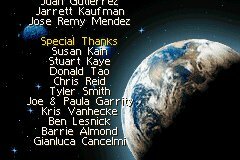 Sorry I couldn't snap some focused shots of the Prophecy Advance screen there. One thing I didn't mention earlier was how beautiful the carrier rooms are. Once you get through the breathtaking intro, you're presented with the breathtaking carrier rooms. Appears they took out the simulator, but the ships database and most everything else seems intact. The Destination people were very excited about the game and were kind enough to talk to me about it a little on camera. I'll have that footage put together once I sort through the eight hours of video I shot. Although they couldn't give me an exact release date, they reconfirmed the game was in production and was within a matter of weeks away. Woohoo! KrisV, the guy who keeps the CIC running when everyone else is too stupid to, turns twenty-two today! You can e-mail him here to let him know how you feel. So... Merry Krismas to all, and to all a good night. THEN WE CAN DIG IT! 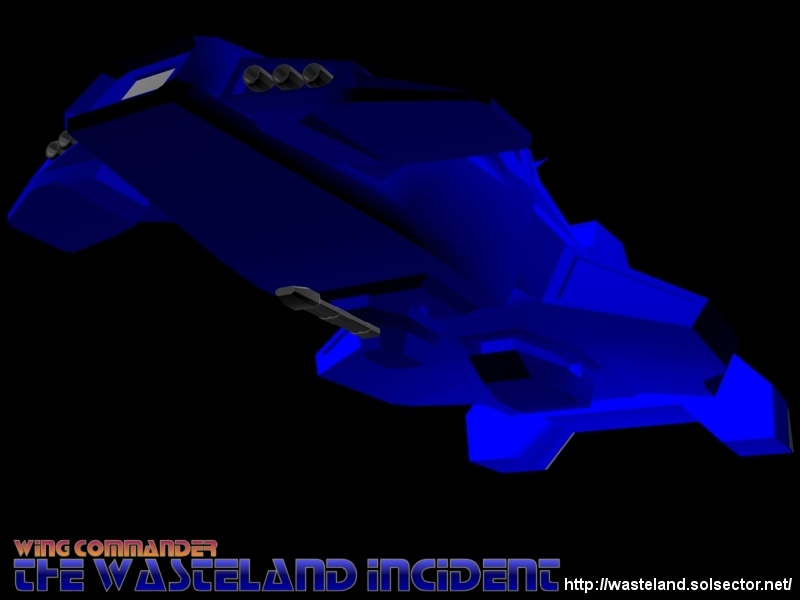 Kruer has remodeled a new, higher poly-count Hades-class Quick Strike Cruiser for the Wing Commander: The Wasteland Incident project (pictured below). 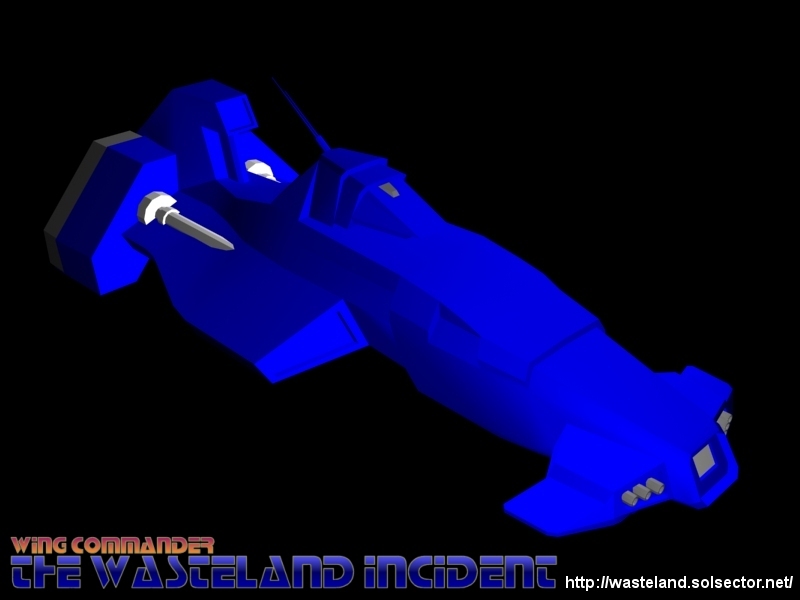 He's now looking for someone to develop high resolution textures to make the ship look its best -- contact him at WCMDF@linkline.com if you can help! (The project is also looking for VegaStrike Engine modelers, texture mappers, mission programmers, set designers and character animators). 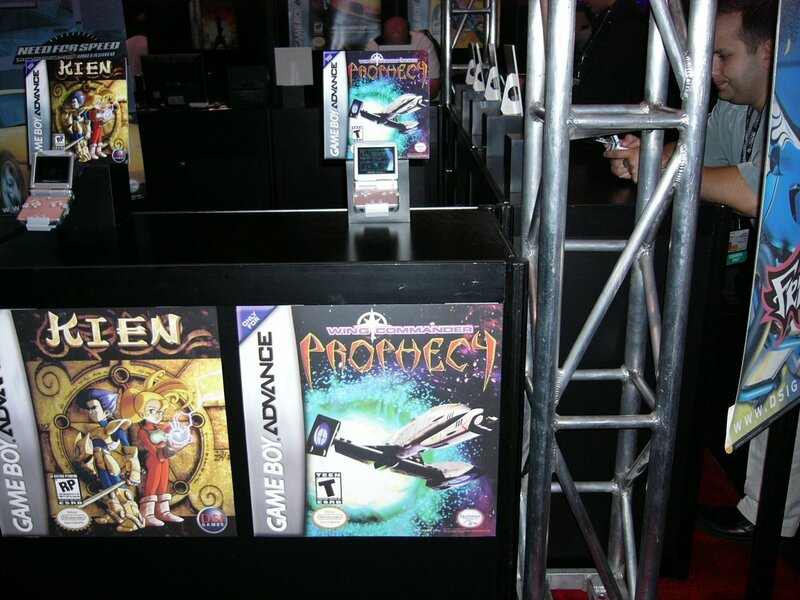 Prophecy Advance is on display and appears to be generating a lot of attention. After several months of relatively little news on the Destination front, it's very refreshing to see how excited they all are about the game. When I first arrived to check out the game, the Destination personnel recognized me from the CIC and were eager to show off the game and answer a few questions for me on camera. 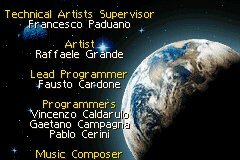 It was obvious they were all very familiar with Wing Commander and genuinely enjoyed the game. What I've seen so far is amazing. I think everyone will be pleasantly surprised by the atmosphere and presentation before they even get into the cockpit. Destination was apologetic about the delays and assured me the game should be out "within weeks." I can't wait! Stiletto (x2) and... various background pilots! Including, but not limited to, Capp and Lisa! How many TCS Midway pilots can you name? Send your list to LOAF... winner gets a coveted Gold Star and nothing else. 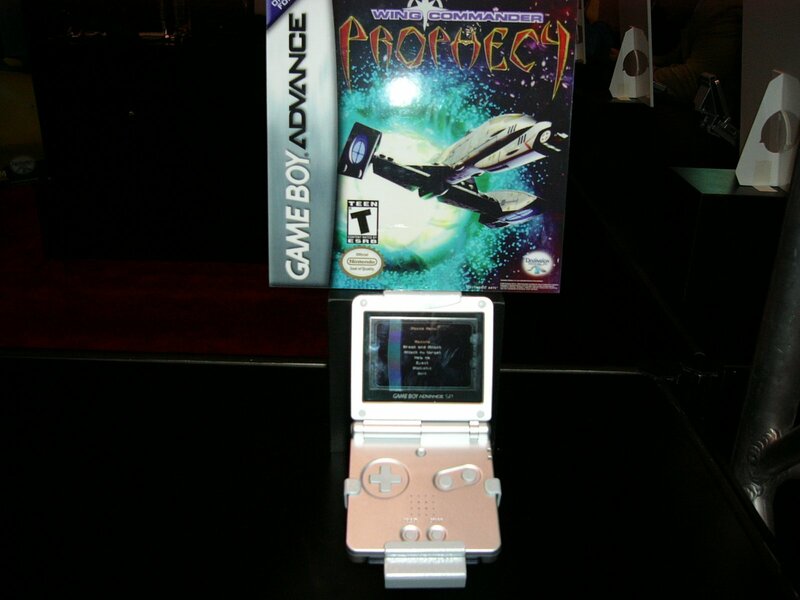 The e-commerce site voted most likely to have a Secret Ops secondary character named after it is at it again: Amazon.com now lists the US release of Prophecy GBA as a stately May 27th, 2003. Based on what we know, this sounds like it could be right. Pleeeeease be right! Stiletto, Stiletto... wonder what that means. Well, Maestro, Dictionary.com has your answer! Stiletto: \Sti*let"to\, n.; pl. Stilettos. 1. A kind of dagger with a slender, rounded, and pointed blade. 2. A pointed instrument for making eyelet holes in embroidery. 3. A beard trimmed into a pointed form. 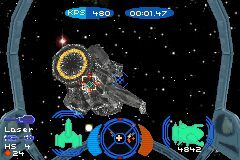 Computer and Video Games.com have a nice long interview with Raylight about Prophecy GBA. There are a few points worth mentioning. 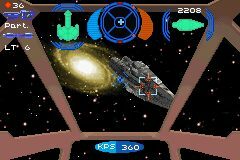 Firstly that every ship that was in the original PC version is present on the GBA which is nice to have confirmed. 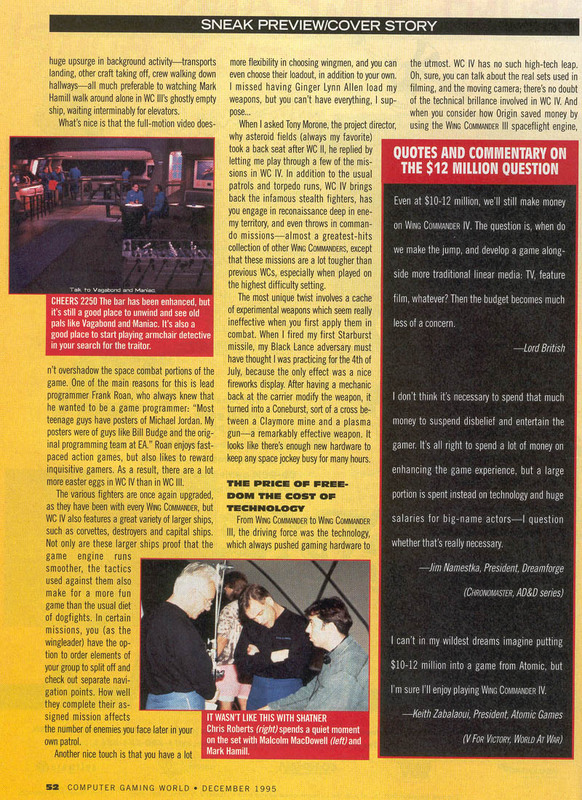 Secondly, the game only took four months to develop. That means that Destination have been sitting on the game for a very long time. You can read the interview with Raylight here. Thanks to Raylight and LeechMachine for the news. 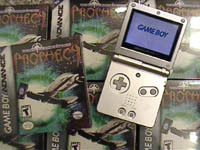 It was sort of predictable, but Amazon's release date of today for Prophecy GBA didn't happen. Now Amazon's listing doesn't include a release date. Hopefully Chris will be able to get some answers out of Destination at E3. Also, Amazon UK have changed it's release date to July 4, but all other sites indicate that a May 30 release for Europe is still the case. Take 2's own site also says release will be in May. Speaking of Chris, we got an email from him. Apparently he survived the crazy long road trip and is now walking through the E3 center having a great time. Things are still being set up there, so hopefully Chris will send us lots of neat news soon. If you haven't bought your tickets for Dragon*Con yet, hurry! Ticket prices go up by $10 in a couple of days, so buy now and spend the money you saved on such fun items as dragons, anime, and German cake from 1939. Not only that, but you'll get to meet WC related celebrities such as John Rhys Davies (Paladin), Tom Wilson (Maniac), Don Perrin and Margaret Weis (WCCCG designers), and Death (Nohbody)! We're sure other celebrities will be announced as the time draws closer. Check out our Convention section to see what fun we had the past two years. Also the guys from bttf.com made us a nice banner because hey, Maniac at D*C! So order your tickets now! Stiletto tries hard to ignore the fact that Casey seems to be making faces behind her back. Wait, my mistake, Casey always looks like that. Justin and I leave tomorrow for the Electronic Entertainment Expo. Prophecy publisher Destination Software will be exhibiting next to the US Army booth in the shadow of Sony and Sega's show floors. We intend to get some answers. There's an off chance we'll be able to meet someone from Raylight, which would be very cool too. I'll be carrying no less than three types of recording devices at all times to capture the event, so don't worry about us properly reporting. If anyone would like to see the new Matrix movie, we'll be catching it Wednesday night in Marina Del Rey. HTL continues with the second chapter of "Scraps Of Honour 12". 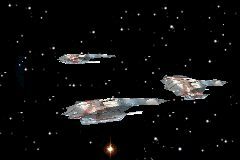 As you saw in the last chapter, the reserve pilots were increasingly on edge as they waited for the main fleet to jump into Nifelhiem in preparation for the final battle. That tension was causing increasing friction among the pilots in the unit. This chapter picks up from there, and is written by Nick "Chaeronea" Deane. Please send any and all comments to him at chaeronea@bigpond.com, not to me. Also, the HTL Archives have had a major update. In addition to standardising the appearance of all the pages used on the site, the Archives now have all stories up to the end of our Loki arc, including three as yet unpublished stories. The site also has downloadable zip files of all four completed arcs for the convenience of those who prefer to read the stories offline. Stiletto practices her chameleon skin effect. Castle over at Crius has gone through the process of designing, creating and applying neato Wing Commander decals to his car. We have a few pictures of his designs in progress and then some final shots of them in action. 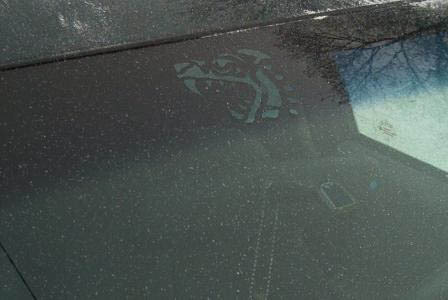 This is dedication! 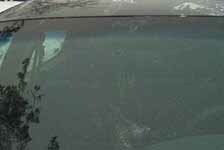 Don't mind the snow on his '96 Dodge Stratus (shhh.. don't tell Wild) there.. we're a little bit behind in our news. 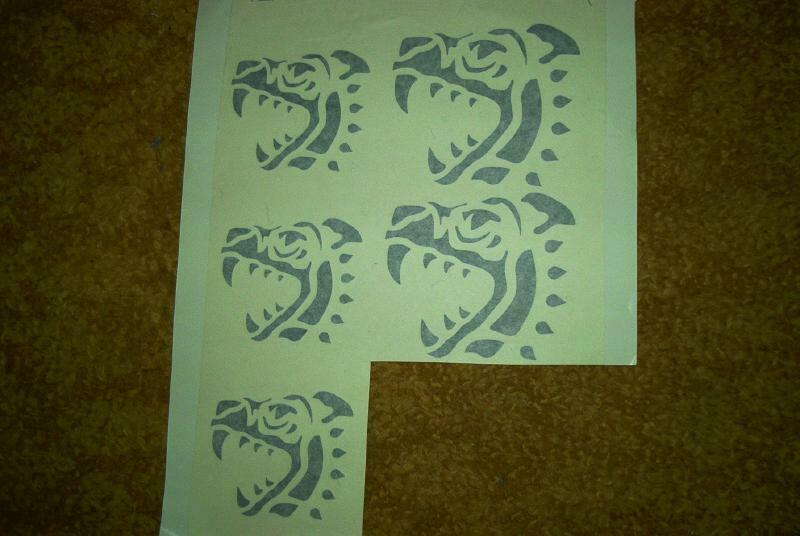 You can read about his production process here and comment on the final decals here. Wow, I'm amazed. IGN's Top 100 counted down its final day today. While I'm not surprised the majority of the top ten were first party Nintendo titles, where's the Wing Commander? Even their earlier WC2 writeup mentions WC3 as the peak of Wing Commanderdom. Better luck next time. And next time is today! I've heard that the G4 tv network has put a Top 100 list in the latest Entertainment Weekly. Though I haven't found a copy myself. If anyone's a subscriber and can manage a scan, we'd appreciate it. To illustrate the differences, IGN's #8 X-Com UFO Defense ranked $99 in EW. 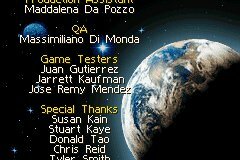 And Wing Commander 1 & 2 tied for the 52nd spot. I love the first few WC games as much as the next guy, but these latest rankings are a bit odd. 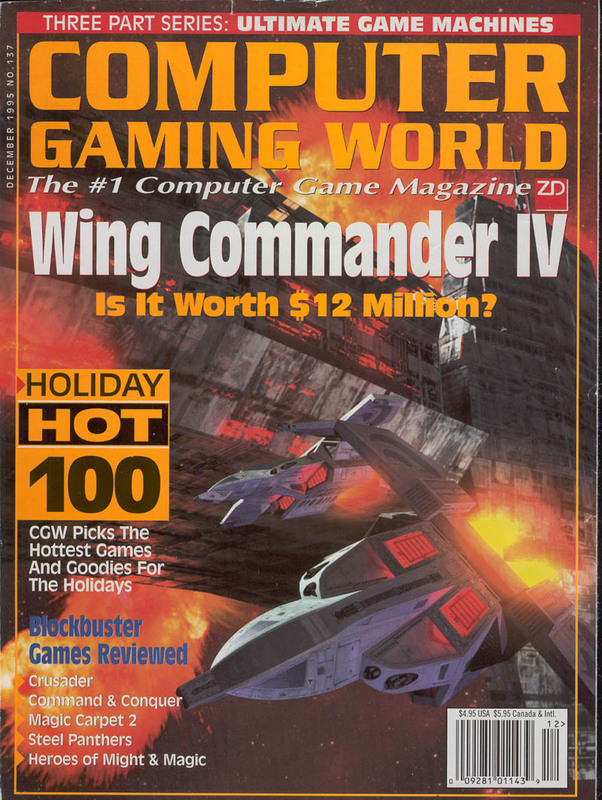 For those curious to know how it's ranked over time, I believe Wing Commander's highest spot was the February 2001 issue of Computer Gaming World where the Wing Commander series came in as the fourth best series of all time.. with less than one percent of the vote keeping it from second place right behind Half-Life. 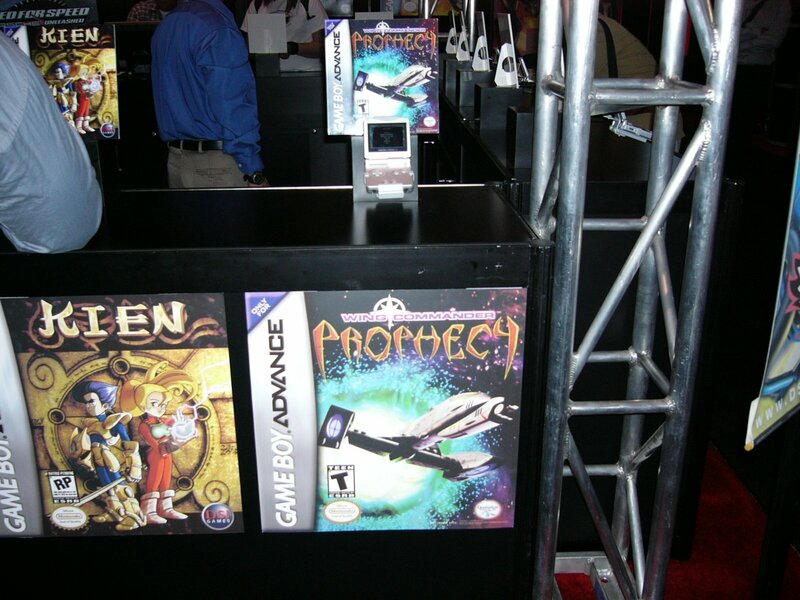 Following up the previous report that the Prophecy Advance cartridges were being manufactured, IGN has proposed a new launch date of May 18. What an extremely timely day. Mount St. Helens, after which the TCS St. Helens was named, erupted on this day in 1980, Kris was born the next year, and in 1995 the first real alt.games.wing-commander post was made. 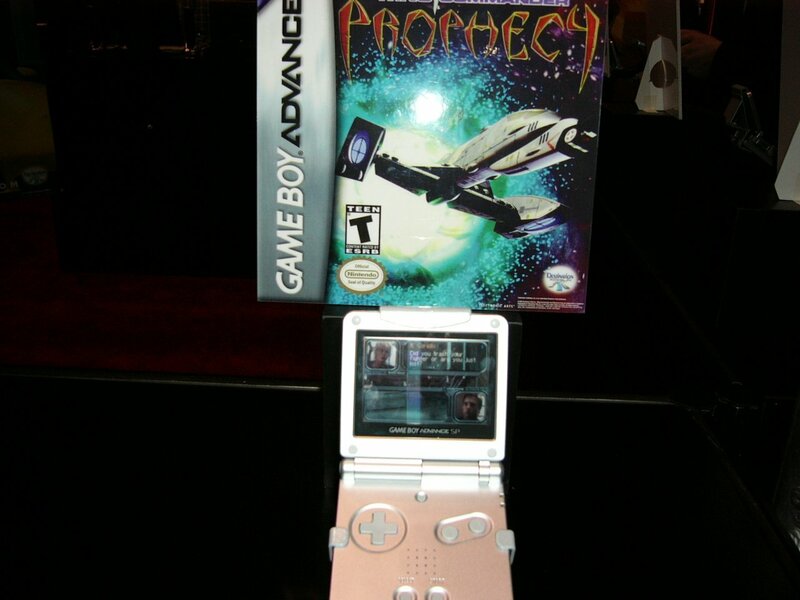 Will Prophecy make its GBA debut the same day? I sure hope so. You can check out IGN's release list for the month of May here. They also have a general info space here. I'm not sure what exactly prompted IGN to go on a big "Top 100 Games of All Time" binge, but they've gone and done it again. A few years back everyone was doing it because of the 2000 changeover. Anyhow, these are always times for Wing Commander to shine. 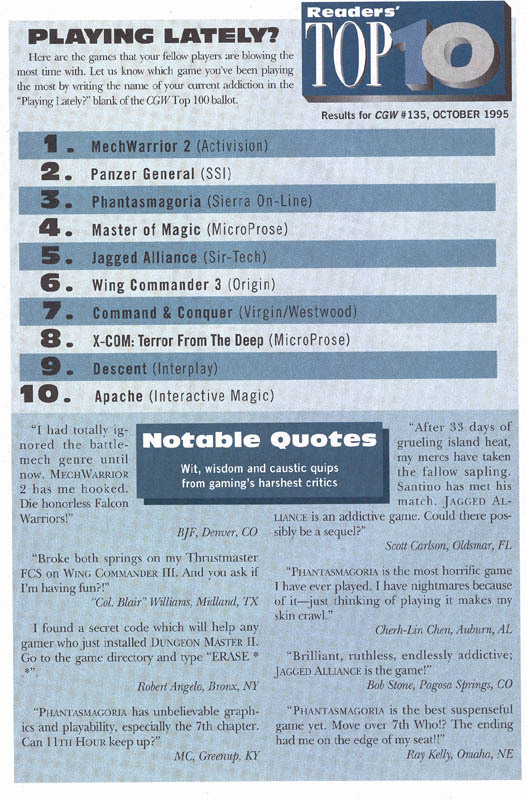 On Day Two of the feature, Wing Commander 2 barely beat out Warcraft 2 in the battle of the WC2's in #87th and #88th places respectively. 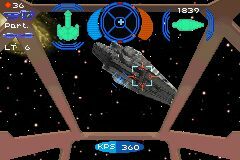 There's only two days and twenty titles left to go in the countdown.. and I'd be very suprised if Wing Commander doesn't make a reappearance. 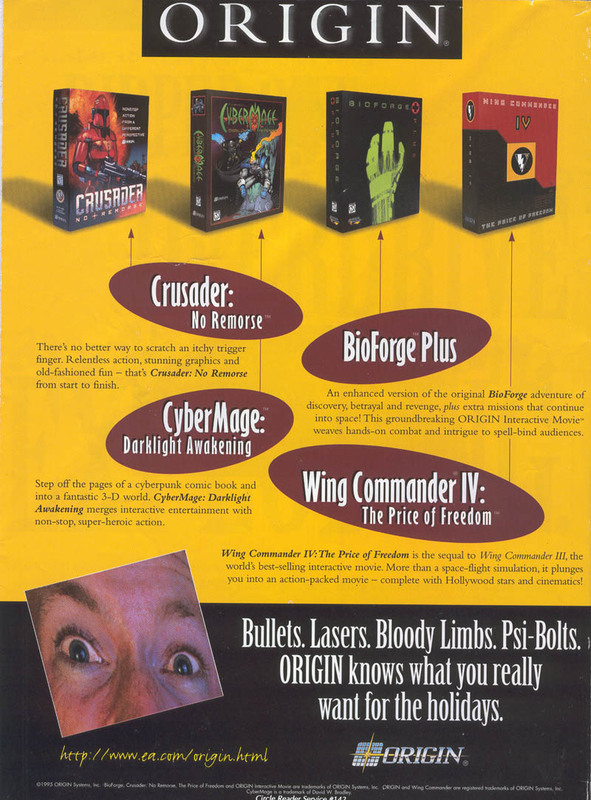 My personal guess is that both Privateer and Wing Commander 3 will make the list. Following up yesterday's Lord British interview, GameSpy has also had a talk with Warren Spector. 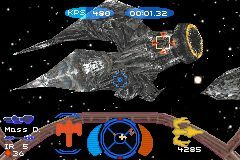 He's another big name in the gaming industry with good old ties to Wing Commander. 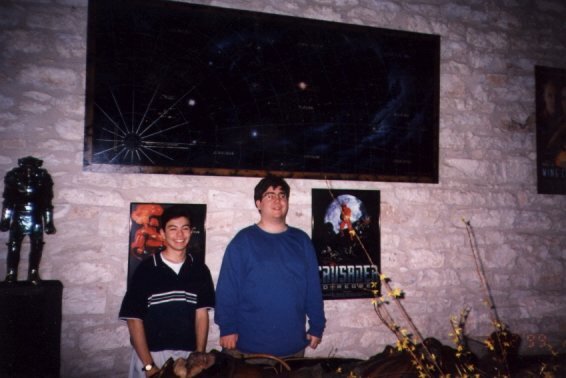 More commonly known as the person that brought you Deus Ex and System Shock, he was also been producer of other games including Wing Commander 1/2 & Privateer Righteous Fire. There are actually two relevant articles involved. The first is his interview here and a Q&A here. Although neither article comes right out and credits Spector for any WC work, it's neat to see him throw out WC references in both articles as if everyone should automatically be familiar with them. If you're reading this you should understand his comments perfectly. Spyder is mesmerized by the random person in the cap. I wish he'd get his hand out of his pocket though..
That's all for Spyder! He probably had more polaroids than he had scenes where he got to speak in the game. Ross Ridge has updated his incredible MyJEMM program to include preliminary support for Armada and Strike Commander. Now you can run them on your Win9x machine without having to use emulators! Unfortunately there aren't many details at this point so we don't know whether this works with both floppy and CD versions or more importantly if the multiplayer stuff works. 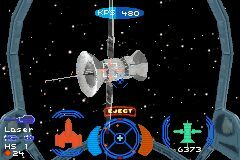 If someone manages to get Armada going over the internet with MyJEMM and an IPX emulator, let us know! You can download this new version from the MyJEMM site. The Gamespy interview mentions his reasons for leaving Origin/Electronic Arts and some of the things that happened afterwards. The very next day, April 2nd, EA decided to adopt another substantial shift in their online games strategy, and basically shut down all other online games in Origin besides Ultima Online. They also decided to move out of Austin a great deal of support services such as marketing, quality assurance, and customer support. Avert your eyes Major Bowen! It's the CAG! 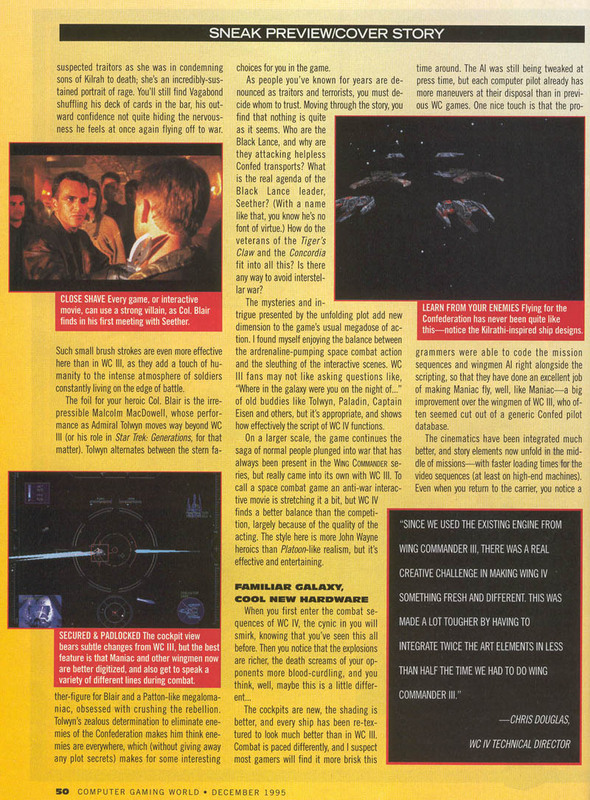 After taking the month of April off, we have a few more cool older magazine articles on Wing Commander. This one is quite a gem. 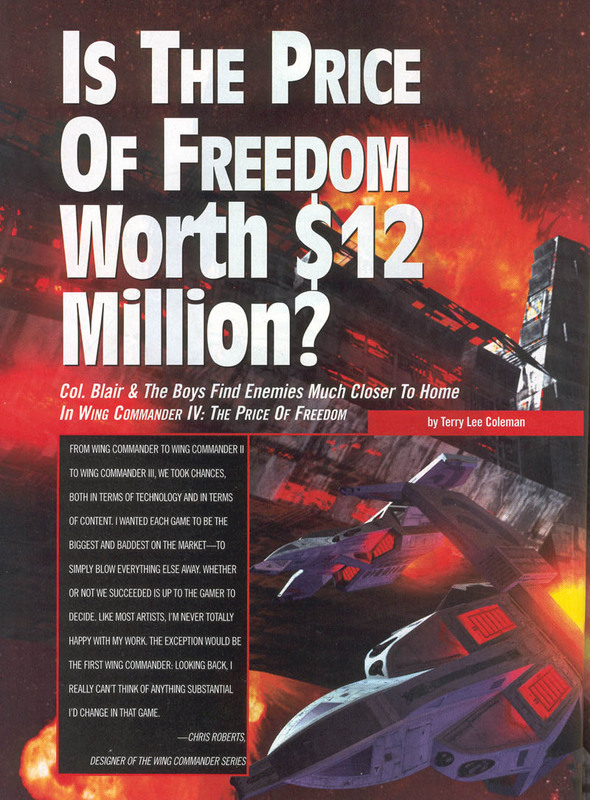 The December 1995 Computer Gaming World cover story asks, "Wing Commander IV: Is it worth $12 million?" You don't have to answer that. 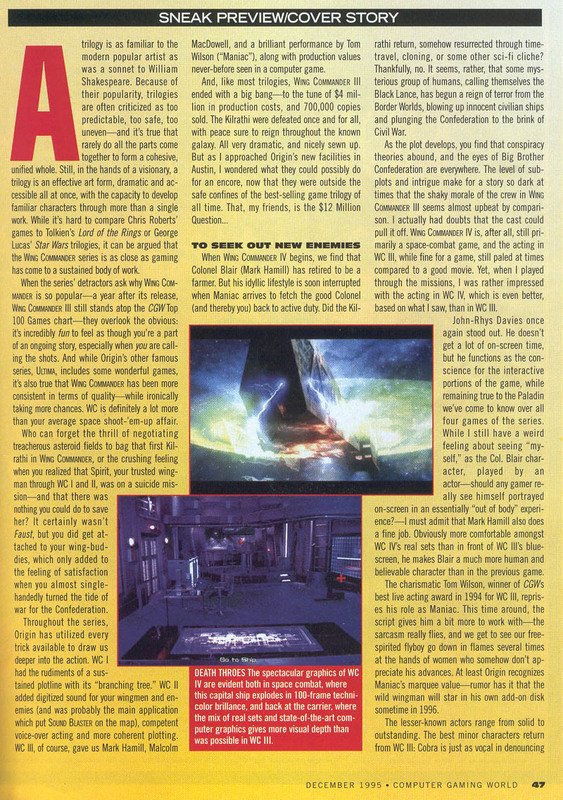 In addition to the large spread in the middle of the mag, snippets in the beginning and end are Wing Commander related as well. There's even an Origin ad on the back cover. Don't see those too often anymore. If you're planning to join us at DragonCon this summer, ticket prices go up in two weeks. Four day entry passes are $50 through May 15. Tom Wilson, John Rhys-Davies, Margaret Weis, and now Don Perrin will be there this year. 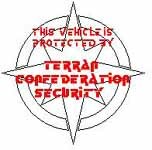 Don Perrin is a displaced Canadian now living in Williams Bay, Wisconsin as Vice President of Operations with Mag Force 7, Inc. Along with his life partner Margaret Weis, he is writing a series of novels in the Mag Force 7 series, the first hitting the shelf in April 1995. 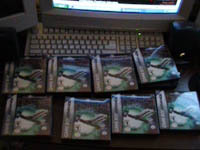 His love is games of all sorts, and now has two successful collectible game designs to his credit with Star of the Guardians Collectible Trading Card Game and Wing Commander® Collectible Trading Card Game. Wedge followed up the last update with a list of other shots he has collected. You can find them here. 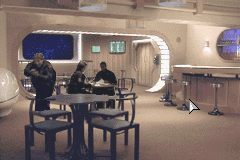 I especially like Admiral Terrell's office for some reason, perhaps because it's a neat tie between the Privateer and standard Wing Commander styles. Spyder displaying a rare thing called emotion.